At EAB, we are making education smarter. We harness the collective power of more than 1,200 educational institutions to generate insights that address education leaders’ top challenges. Mission: Make education smarter and our communities stronger. Meet the 150 companies in the D.C. area that received the highest ratings from their employees in 2018. EAB – Why Work For Us? At EAB we harness the collective power of more than 1,200 educational institutions to generate insights that address education leaders’ top challenges. Then we apply these insights through research, technology, and services: We help leaders find and enroll the right students through enrollment marketing and financial aid optimization. We support student success through our student success management system, which helps advisors, faculty, and staff guide students through school and to the post-graduate outcomes students want. And we provide institutions with the strategic guidance and data they need to improve mission-critical outcomes and prepare for tomorrow’s students. We make education smarter and our communities stronger. Learn more about our mission and values HERE. We believe in the power of education to transform. We understand that the work we do directly contributes to student success at an individual level, opening doors and changing lives. Because of this simple but important truth, we are motivated by a cause larger than any one person. In order to solve educations biggest challenges, we look for exceptional colleagues who challenge us to grow and continually improve. We believe that experience and skill can be developed in motivated and smart people who believe in our mission and culture. We recruit and cultivate thinkers, dreamers, doers, disruptors, creators, innovators, advisers, change makers, researchers, readers, writers, coders, inventors, and leaders. Check out our Careers Page. Quest: We believe in developing our team members into tomorrow’s leaders. QUEST is a leadership experience for team members early in their professional career that includes the opportunities to interact with all departments, solve real business problems with senior leaders, cultivate their personal brand, and participate in an internal internship. Orientation@EAB: The goal of the Orientation@EAB experience is to ensure new team member feels welcome and part of a network from day one, that they are engaged and excited about what we do, and have the knowledge and resources, so they can hit the ground running. EAB University: Our continuing education platform is open to anyone at the company where we host in-person and online trainings focused on soft-skills, technical skills, and industry and business education. Manage@EAB: To equip our managers with the tools they need to be successful, we believe in intentional, immersive, and robust skill building at every level of management. We ask our managers to complete 20 hours of essential manager training in a cohort-based program designed to provide foundational skills and strategies to elevate manager effectiveness. EAB’s mission to make education smarter and our communities stronger infuses everything we do. It’s by design that our work with our members and our communities intertwine: it allows us to have an outsized, positive impact. This service orientation strengthens our own organization, too— by creating skill-development opportunities beyond our office walls, and by giving employees the fulfillment of serving communities where they live and work. With the launch of Navigate, our first program focused exclusively on community colleges, we’re helping students successfully overcome their most challenging roadblocks to graduation. With the creation of My College Fact Finder, every student in District of Columbia Public Schools can now access information to choose a college where they have the best chance of thriving. Our colleagues walked, ran, swam, biked, donated, cold-called, and pounded the pavement to raise money for causes close to their hearts. This number grows by the minute, and we couldn’t be more proud of the countless ways our employees touch and improve the lives of those around them. Our people are change-makers who use their heads and their hearts to make a difference, starting at the ground level with our service-driven culture. 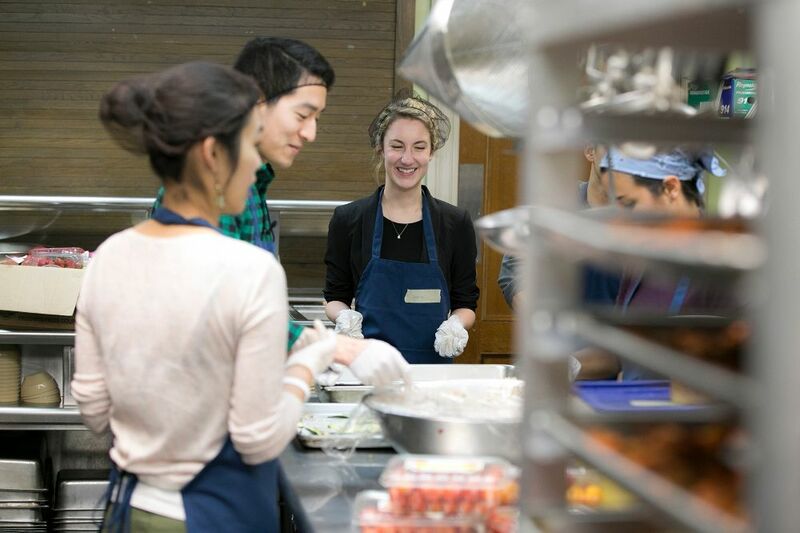 By packing snack bags, hosting food drives, delivering meals, and preparing hot dinners for families in need, our colleagues provided nutritious food where needed. In order align with our mission to make education smarter and our communities stronger, we strive for a workplace that allows employees to bring their full selves to work. We are the sum of our collective experiences, characteristics, and skills, and we value unique perspectives and differences in opinion. We acknowledge biases as part of the human experience and guard against them negatively impacting our innovation and culture. Learn more about our vision for Diversity and Inclusion here. Mosaic: The goal of Mosaic is to cultivate, engage, promote and retain the next generation of highly engaged leaders of color at the forefront of higher education. OUT@EAB: The mission is to drive positive impact for LGBTQ individuals at the firm and within our broader communities. 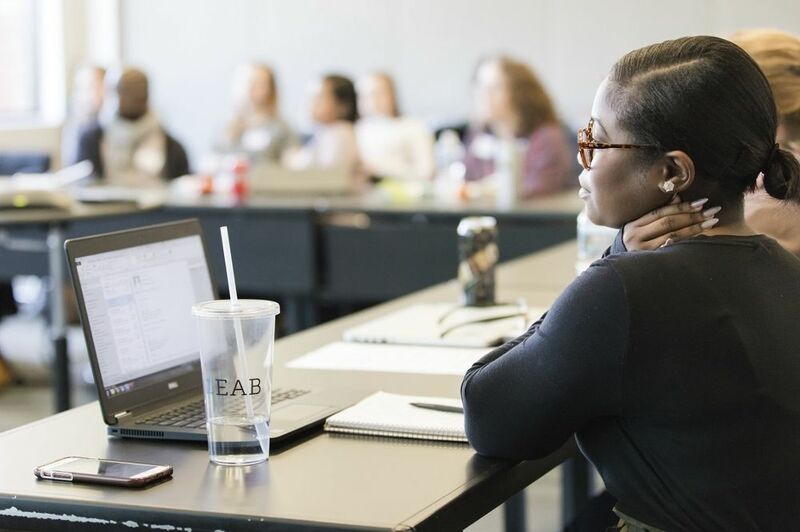 Women@EAB: Women@EAB promotes a cohesive mission for women at the firm by promoting gender equity and increasing women’s advancement and engagement through a multitude of pathways and opportunities. Intersections Dialogue Series: Employees from different areas of the firm gather to over a shared meal to discuss topics of interest and expand their community and build a sense of connectedness. Inclusion Insights: A weekly email is sent to team members with tactical practice tips and insights to enhance a culture of inclusion within your respective team and department. I have been with EAB for over 10 years and continue to enjoy the culture, growth and opportunities the firm has to offer. I enjoy the autonomy to my day to day while having clear goals. The people that work here make this place special. It is a place where you feel supported to share new ideas, collaborate, grow and bring your whole self to work. So happy to be part of a service driven organization where we truly are making a positive impact on education. We are a growing company and with that comes change. You have to be excited and comfortable with change. We are always looking at what can we do better, how can we improve. Innovation drives us. I applied online. I interviewed at EAB in July 2017. Applied online, and received invitation for phone screen after one week. The phone screening is standard, e.g., walking through resume, why this company, why this position, research experience. Few weeks later was contacted for a 90 minutes writing test and a 60 minutes case/fit interview. The writing test is reasonable and I enjoyed the process completing it. The case/fit interview is also enjoyable, as my interviewee is very friendly and professional. The staff I communicate with are very friendly and nice to talk with. Be prepared that they may adjust the position you are applying for through the process based on your performance. 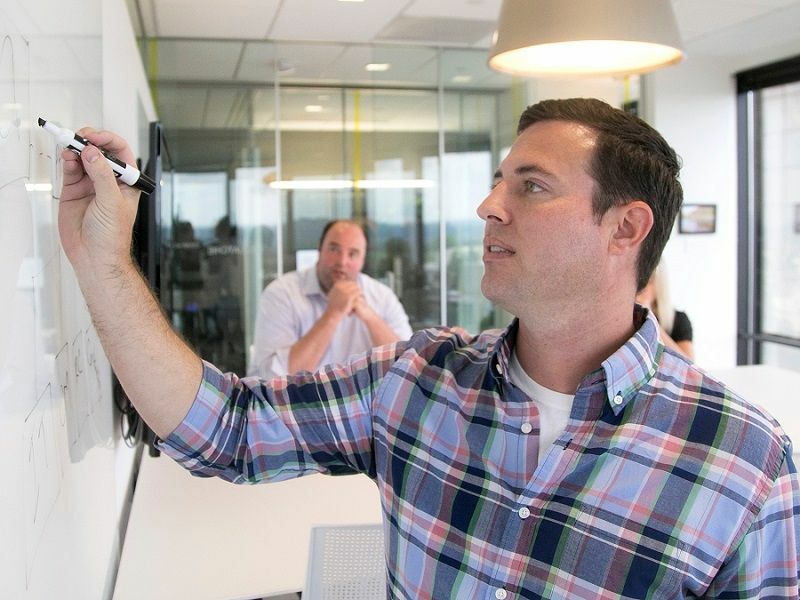 Glassdoor gives you an inside look at what it's like to work at EAB, including salaries, reviews, office photos, and more. This is the EAB company profile. All content is posted anonymously by employees working at EAB.